This is our "go to" hat & scarf combination. The base hat is a voluminous style, not too fitted around the head which steers away from that "flat look". 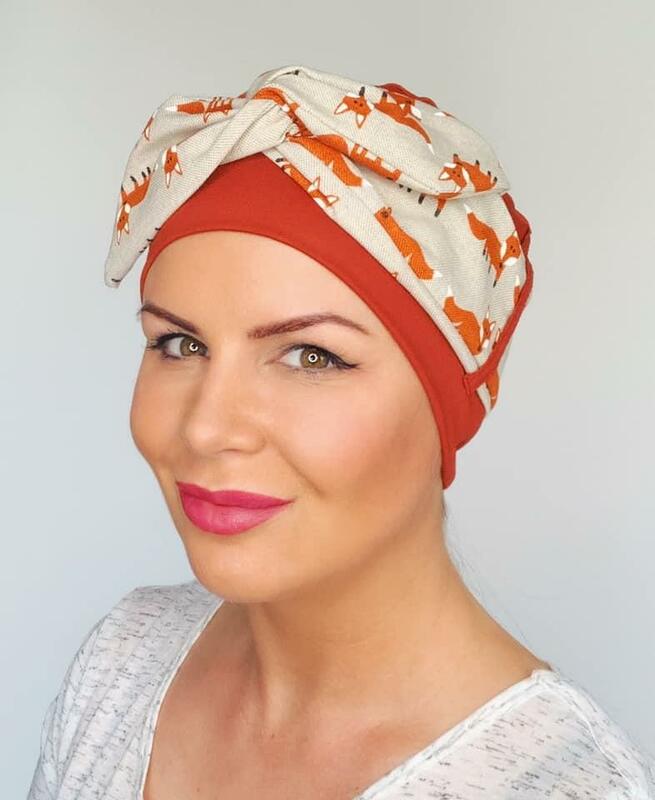 The hat has two loops attached to feed your scarf through and ensures it is held securely in place. 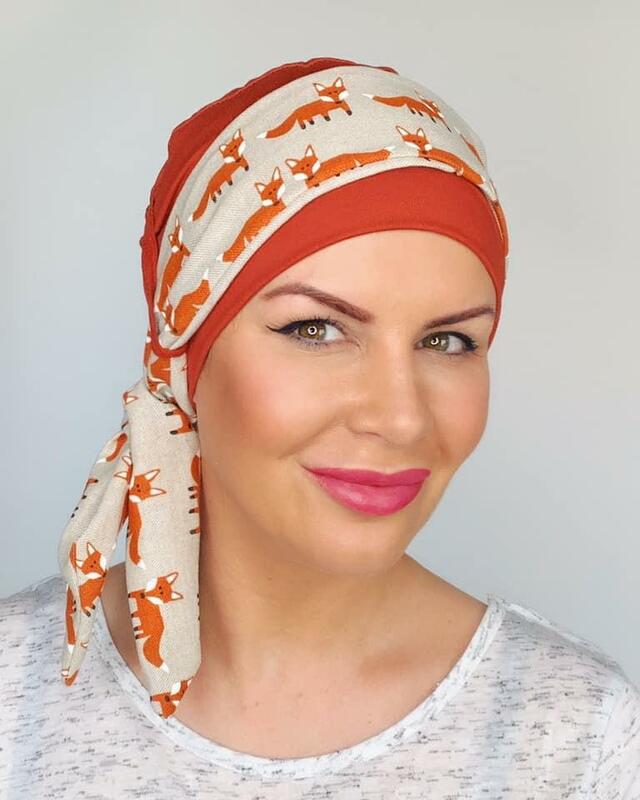 The scarf that comes with it is made from soft cotton material, we have cleverly stitched a very soft but very pliable fine wire. This gives you the ability to bend and shape the scarf into many styles that otherwise would not be possible with a standard scarf. 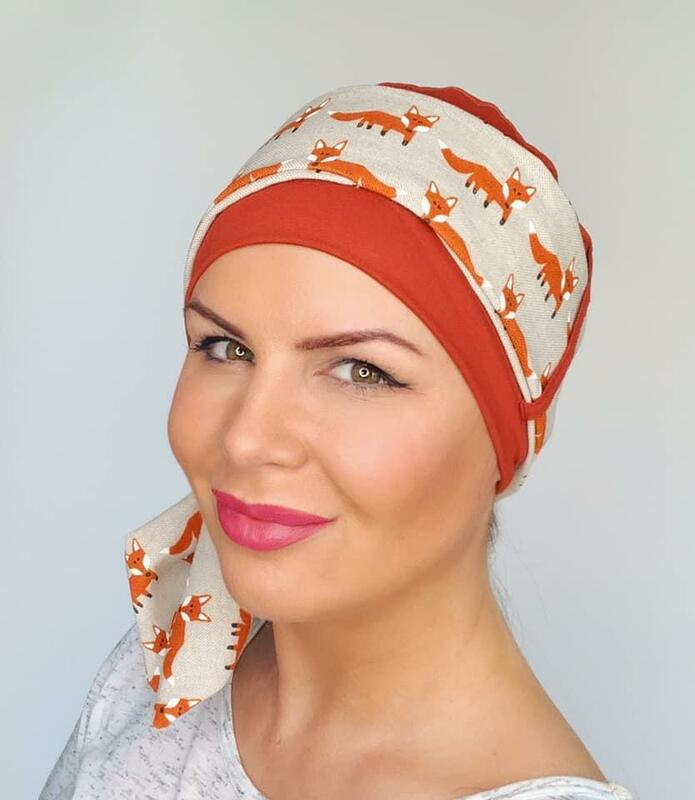 We have been able to style this in several styles including, standard bandana style, turban style, rosette at either the front, side or back, standard band style & also standard headscarf style. The best thing is, once you have bent, rolled or twisted your scarf, it won't move. It is completely secure. At the end of the day all you need to do is remove your wired scarf, lay it flat to straighten the wire again. We have looped the two ends of the wire so you can slip your fingers through each end and pull, this will straighten it back out again. There is also a small concealed velcro opening in the centre of the scarf, this allows you to remove the wire if you need to wash your scarf or if you need to straighten the wire. 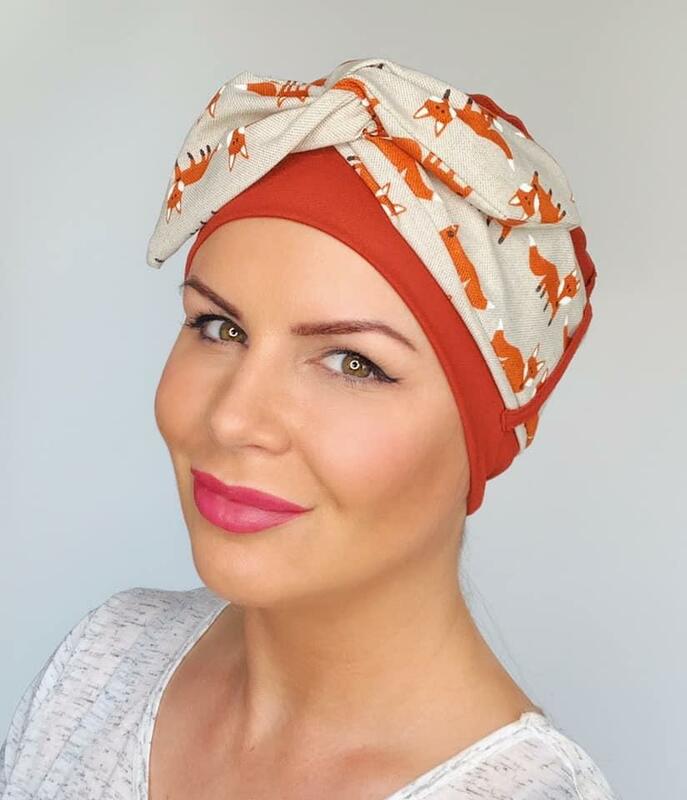 The scarf is completely removable, the bamboo hat can be worn on its own and you can mix and match any of our wired headscarves & hats.